Let's begin at the heart. All engines are characterized not only by their impressive performance and high efficiency but, above all, by the typical resonance of their sound. 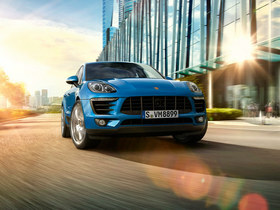 The power of the new Macan models is transmitted to the road by active all wheel drive. This system sets standards for driving dynamics and stability. 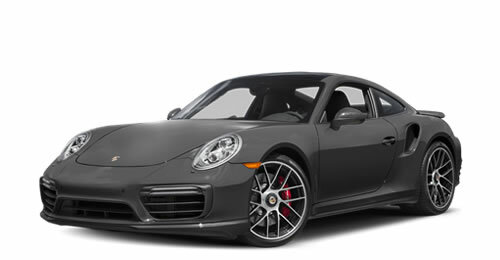 Staggered tires are fitted as standard – as seen on the 911 – to deliver even greater traction and agility. 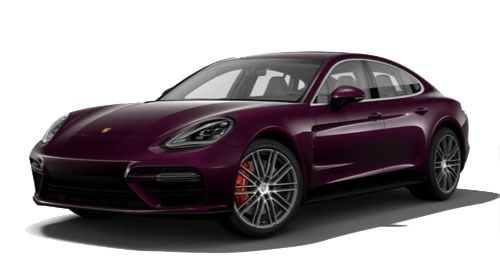 Fitted as standard, 7-speed Porsche Doppelkupplung (PDK) lets you experience motorsport-style gear changes, which take place in milliseconds and with no interruption in the flow of power. The system also features a coasting mode, which reduces fuel consumption and emissions where the driving situation allows. To this end, the Auto Start Stop function, intelligent thermal management and many more efficiency-enhancing measures make a decisive contribution. The steel spring suspension, fitted as standard, helps to provide the driving precision and performance typical of any Porsche. As an option (standard in the Macan Turbo), it can be upgraded to include optional Porsche Active Suspension Management (PASM). At the push of a button, the shock absorbers respond even more precisely to the current driving style. An air suspension is available for even greater dynamic performance and a high level of ride comfort. 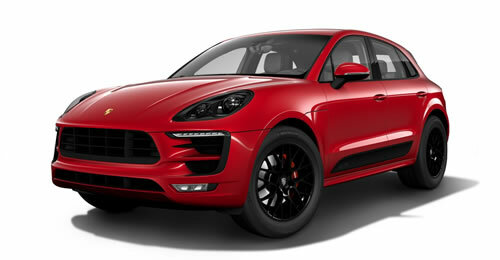 With this suspension, the Macan sits 15 mm lower. The three-position ride-height adjustment capability enables you to adapt it optimally to the driving situation. Optional driver assistance systems relieve your workload so that you can have more fun. 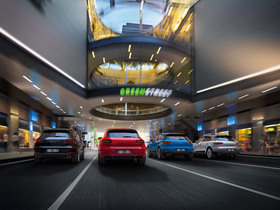 Adaptive cruise control including Porsche Active Safe (PAS) regulates the speed of your vehicle in line with the speed of the vehicle in front. Lane Change Assist monitors your blind spots, while Lane Assist monitors your car's distance to divider line markings on the road. 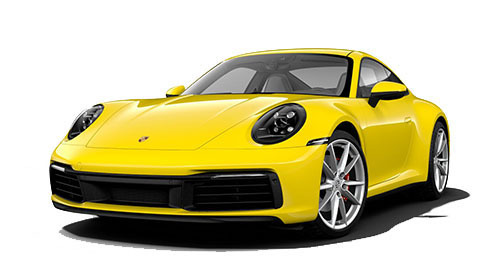 Intensive living can also be measured in bits and bytes, with Porsche Car Connect for instance. 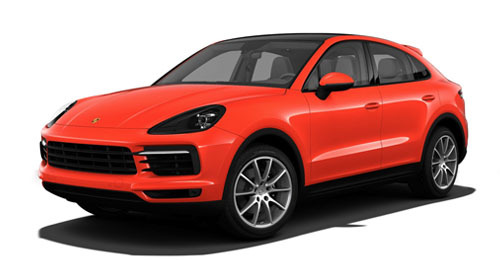 Available as an option, our comprehensive packages of remote and PVTS (Porsche Vehicle Tracking System) services provide you with all the important information about your Macan – not only when you're behind the wheel. 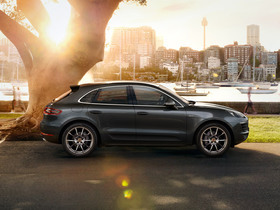 Other digital functionalities of the Macan include the ability to log into social networks or search for a Point of Interest and then select it directly as your navigation destination. Being highly networked – that, too, can be the principle of a sports car. 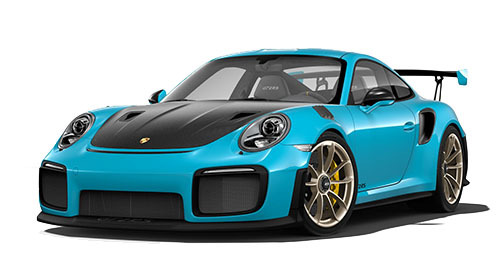 As a creator of sports cars, we know that driver and car must form a single entity. 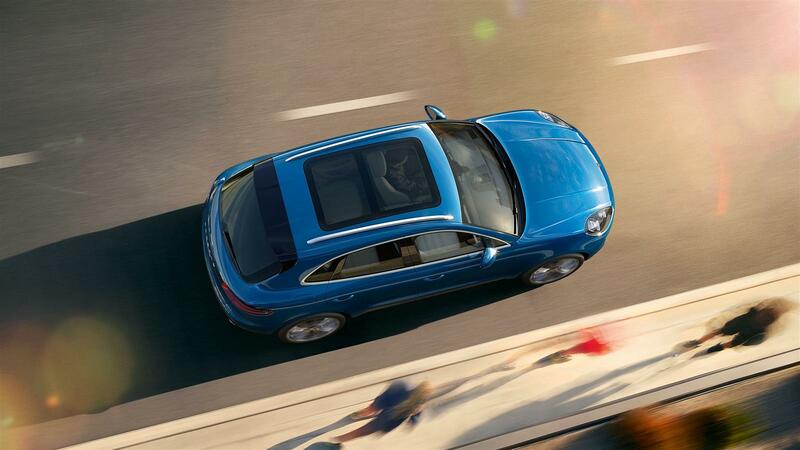 As such, you do not simply sit in the Macan – the ergonomic architecture integrates you into the vehicle. The threedimensional arrangement of the controls lends the interior a cockpit-style layout. 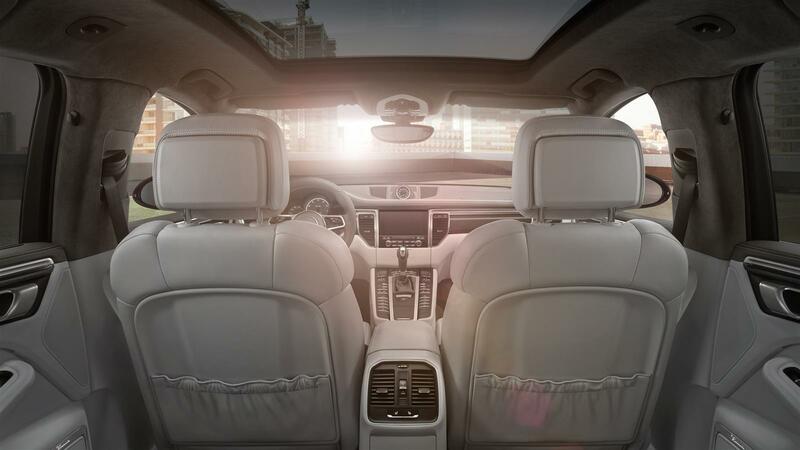 In typical Macan fashion, the sporty front seats convey a sense of height above the road without any loss of intimacy with it. The essentials are seen at a glance. The instrument panel has a three-tube design. Three tubes – just like in a classic sports car. Also in view is the centrally positioned tachometer. To the right is the 4.8-inch color screen, which, among other things, displays information from the on-board computer. 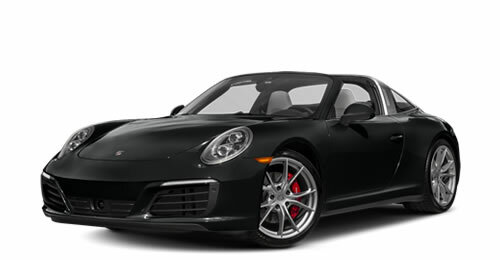 Thanks to the ascending center console – a typical feature of a sports car – you don't have very far to reach from the steering wheel to the PDK gear selector and most important vehicle functions. 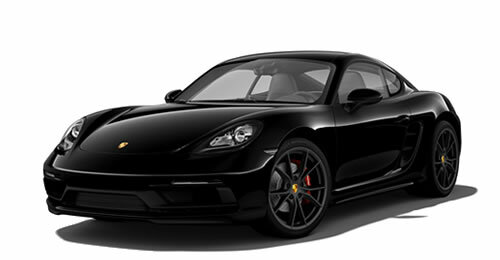 The ignition lock, as ever, is on the left – typically Porsche. The newly developed multifunction sport steering wheel is inspired by the design of the 918 Spyder – and an established motorsport principle: keep your hands on the wheel. Two manually operated and ergonomically positioned gearshift paddles enable fast and sporty gear changes. Sound and navigation systems follow the ergonomics philosophy. Equipped with a high-resolution color touchscreen, they offer intuitive ease of use. On the subject of customization, you can make the interior even more individual, thanks to a diverse selection of options. The palette of materials and decors ranges from classic to sporty. For an exclusive ambience, you could have the interior of your Macan lined in leather in various ways or have the decor refined with the elegant wood dark walnut. For a theme that places the emphasis on sport, choose carbon fiber or brushed aluminum. 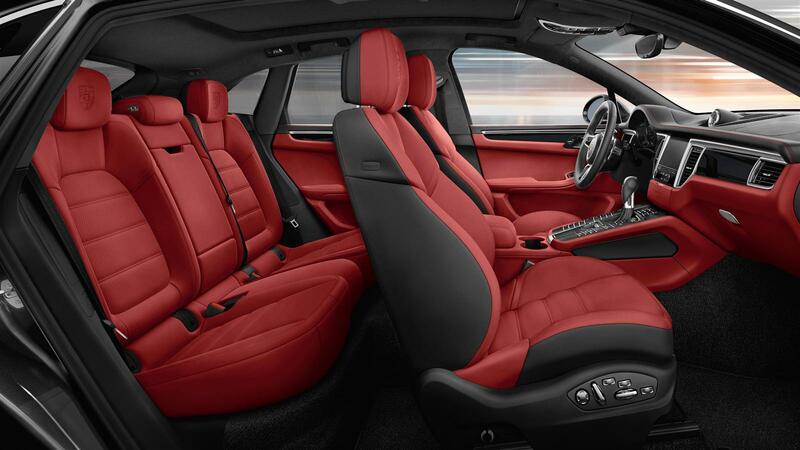 However you personalize the interior of the new Macan, remember one thing: there are no limits. 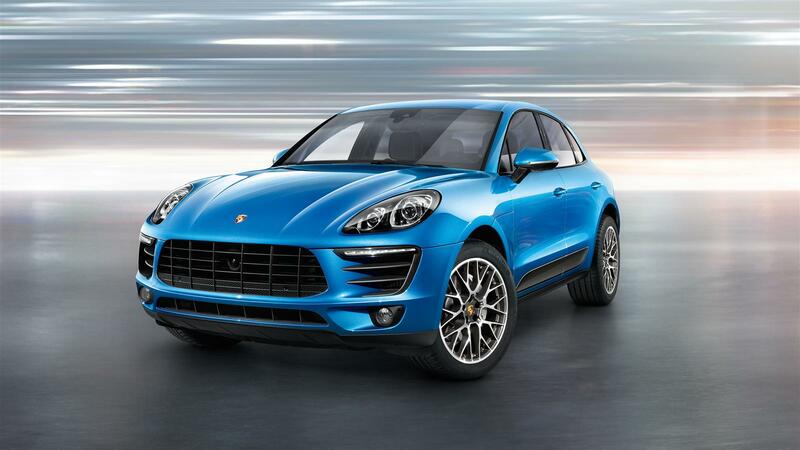 The face alone of the new Macan lays bare the dominant sporty genes of its hereditary line. The characteristic headlights are integrated in the bonnet. The large, imposing air intakes of the front fascia are just waiting to inhale life. Every single second. The overlapping hood stretches through to the wheel arches. This lends the front a broad and powerful presence and reminds us of the legendary Porsche 917, which won countless victories in the early 1970s – including at 24 Hours of Le Mans, where it held the distance record for 39 years. A visual highlight of the new Macan is the side blades. 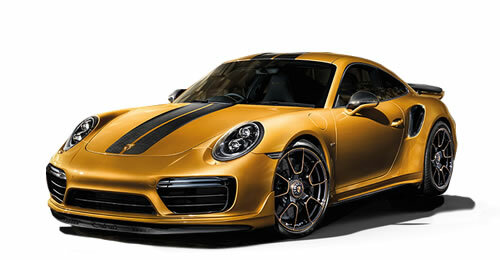 Not only do they set a sporty accent, their design pays homage to the 918 Spyder. They make the proportions of the doors appear narrower and the flanks seem much sleeker and sportier. Side blades are available with a Lava Black paint finish, in the exterior color of the vehicle or – for a particularly exclusive statement – in carbon fiber. 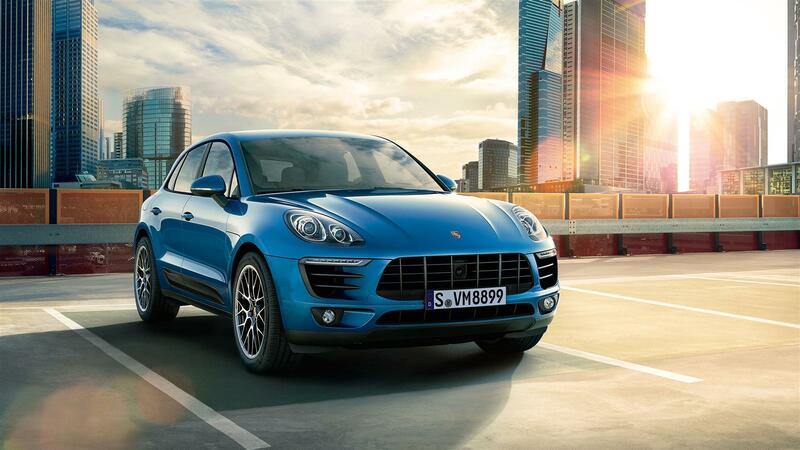 In sizes of up to 21 inches, the wheels of the Macan are equally eye-catching. 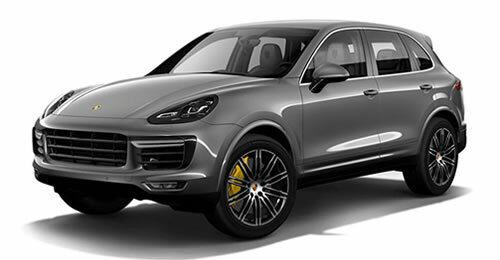 The particular Macan model that you see before you is recognizable by its brake calipers: silver-colored on the S variant and red on the Turbo. Typically Porsche. 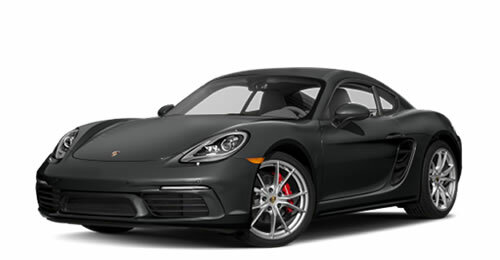 At the rear, the classic Porsche sports car design reveals itself: slender at the top, widening into broad shoulders above the rear wheels – a homage to the 911. The styling of the rear hatch gives the rear end a particularly harmonious look. For convenience, the rear hatch on all Macan models is equipped with an automatic powerlift function. The narrow LED taillights have three-dimensional proportions, which gives them an extraordinary appearance of depth – and captures your attention. 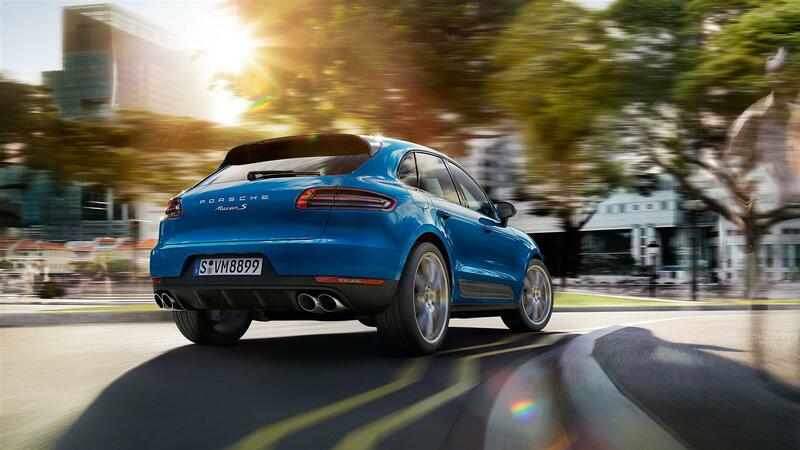 The overall effect is to make the Macan look low, wide and thus intimate with the road – like any genuine Porsche. After all, a muscle-toned body is meant to be admired from the rear as well as the front. Those who prefer to blaze a trail of their own don't need to follow the lead of others. We're thinking specifically about cars known as compact SUVs, characterised by five doors, five seats, all-wheel drive – and, of course, a higher sitting position. But aren't they lacking a certain something? Something that adds a little life, lets us enjoy a more intimate relationship with the road and delivers intense driving pleasure. A concept that boasts plenty of space for hobbies, leisure and sport. But no room for compromise. Compact, concentrated and intense, but still powerful. Practical but never ordinary. 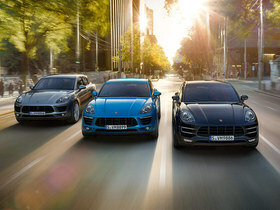 It is by these standards that we created the new Macan, and saw it emerge with three distinct guises. Each one a sports car. Each one unmistakable in its own segment. 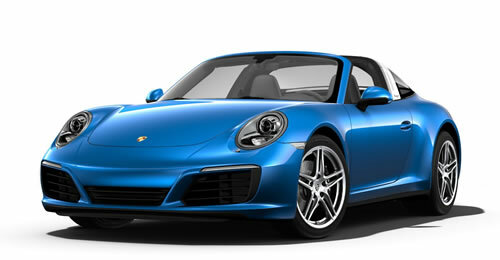 Each one a genuine Porsche – from design and driving dynamics to equipment specification. 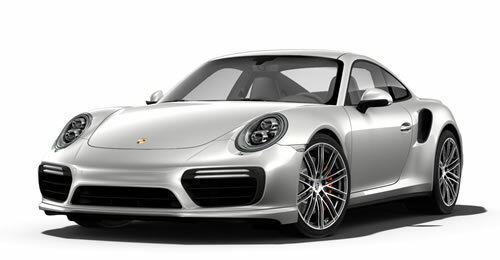 From the ultra sporty S variant to the Turbo – which sets new performance standards in its vehicle class. 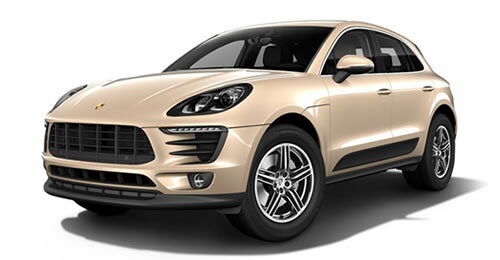 All Macan models were developed, tested and built in keeping with the Porsche philosophy. That's where we take sporty style and performance from the racetrack and inject it into everyday driving. We make it as efficient as possible – and, of course, just as safe and comfortable. No efforts were spared until our engineers achieved their overriding development objective: the first sports car among compact SUVs. 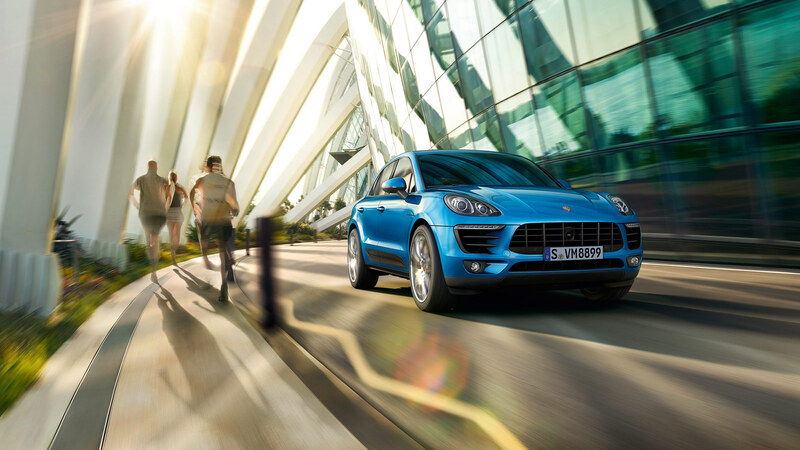 The new Macan – built for an intensive life in which the thirst for experience and thrills and spills are ever-present, and in which new challenges are a permanent driving force. Built for a life that refuses to be hemmed in by conventions and feels all the more authentic for it. Direct and intimate. A sports car that gives us what we're looking for, even in our everyday life: that feeling of being alive. 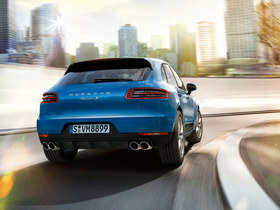 Sport tailpipes are available for your Macan on request. 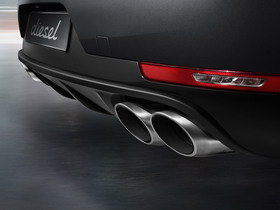 The twin dual-tube tailpipes are specially designed and feature a highly polished chrome-plated stainless steel finish, also available in chrome-plated black. A sporty statement that is visually unmistakable. The SPORT button, which is fitted as standard, enables you to select a setup that favors either comfort or sporty performance. At the push of a button, the electronic engine management system switches the engine mapping to offer an even sharper response and engine dynamics that are more direct. 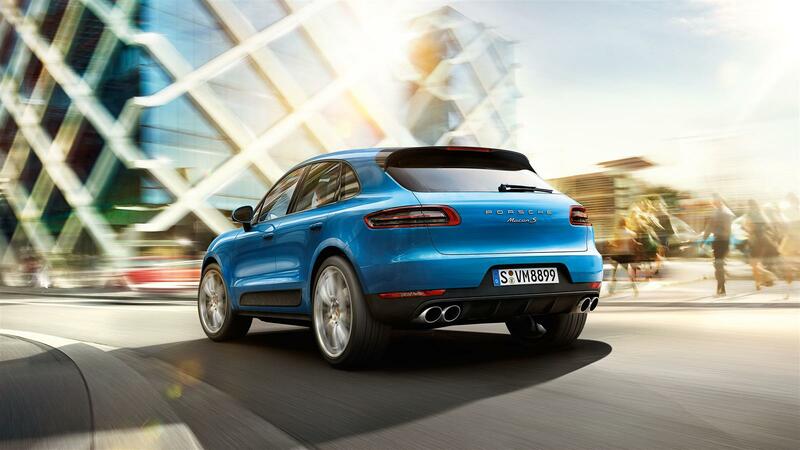 As with any genuine sports car, the Macan is equipped with wider tires at the rear – just like the 911. The visual impact is not the only effect: the larger footprint at the rear improves both stability and traction and also enhances agility for intensified contact with the road. What they all have in common is their aluminum construction, which saves weight and increases agility. That's particularly true of the forged 21-inch wheels. 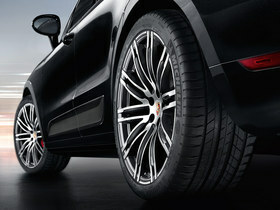 The Macan S is equipped, as standard, with 19-inch Macan Design wheels. 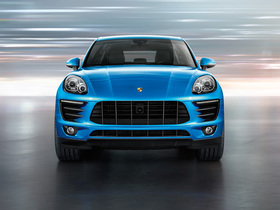 The Macan Turbo is fitted with 19-inch Macan Turbo wheels as standard. All tires have been optimized for driving performance, handling, rolling resistance and weight. The rubber compound, tread pattern and the carcass architecture have been designed for the least rolling resistance possible in order to reduce fuel consumption. The Tire Pressure Monitoring System (TPMS) sends warnings to the on-board computer’s display screen in the event of low tire pressure or a gradual or sudden loss of pressure. The multifunction display in the instrument cluster gives you a quick and convenient way to check your tire pressures. The Sport Chrono Package adds a stopwatch with an analog and a digital display to the cockpit. The performance display in PCM lets you view a range of driving stats, including your total driving time, current lap distance and lap times recorded so far. 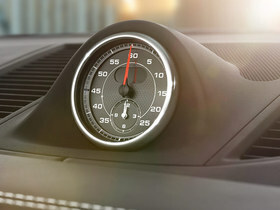 The lateral and longitudinal forces acting on the vehicle are illustrated by the G-Force graphic on the color screen in the instrument cluster. The center console also comes equipped with the SPORT PLUS button, which is used to activate SPORT PLUS mode. In this mode, the engine becomes even more responsive and the tachometer is adjusted to a harder setting. 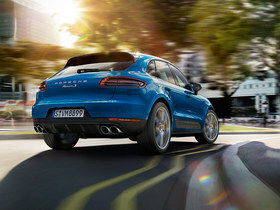 Porsche Traction Management (PTM) is now tuned for even sportier performance. 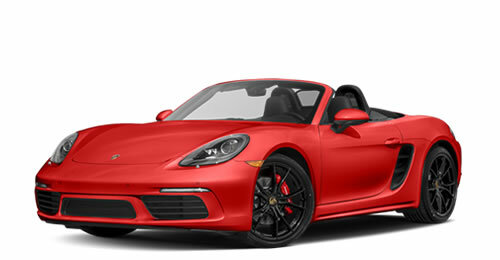 For cars with Porsche Active Suspension Management (PASM), SPORT PLUS mode results in harder damping and more direct steering. In addition, the trigger threshold for PSM is raised for increased longitudinal and lateral dynamics. The shift times of PDK, fitted as standard, become even shorter, the gear changes even sportier. The optional air suspension automatically drops to Low Level. Launch Control is primed to deliver optimum acceleration from a standing start. Would you like to try roads that aren't actually there? 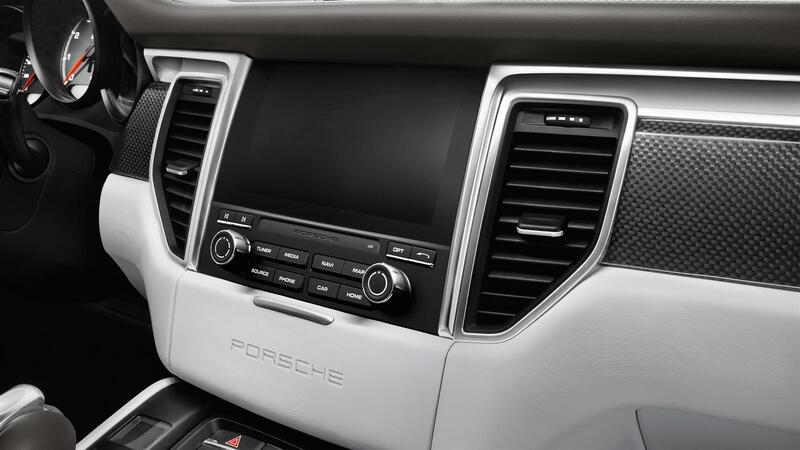 A button on the center console sets your Macan to OFF-ROAD mode. All relevant systems switch to a traction-optimized program for off-road terrain. 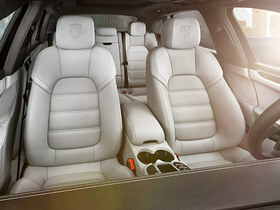 The optional air suspension including PASM automatically adjusts to Terrain Level. In addition, optional Porsche Torque Vectoring Plus (PTV Plus) and Porsche Stability Management (PSM) – integrated as standard – optimally adapt their setup for off-road use, delivering improved driveability and safety. 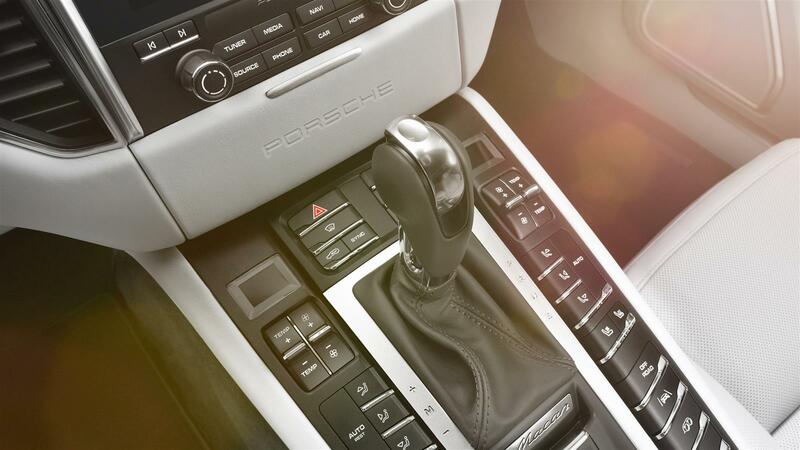 A button on the center console enables you to activate Porsche Hill Control (PHC), which keeps your speed constant on downhill gradients. You can set any speed between 2 - 19 mph. Standard Power steering Plus is a speed sensitive power steering system. 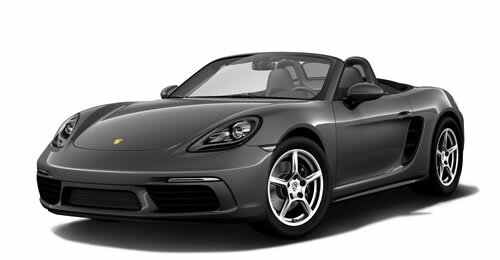 At high speeds, the steering firms up and responds with greater precision, while steering comfort remains outstanding. At low speeds, the steering ratio adjusts for easy manoeuvring and parking. PASM is an electronic damping control system. It actively and continuously adjusts damping force based on current road conditions and driving style. When a car is driven off-road or assertively in a manner that demands hard acceleration and braking, the forces acting on the car will normally induce perceptible body movements. PASM intervenes in these situations to reduce them. You can select from three modes: ‘Comfort’, ‘SPORT’ and ‘SPORT PLUS’. 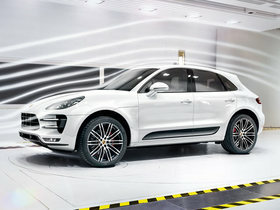 Standard in Macan Turbo. 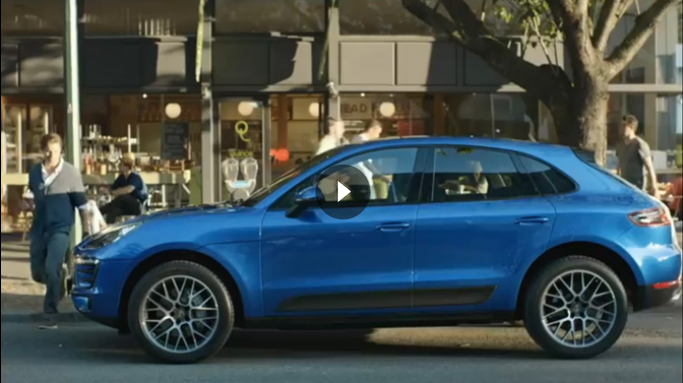 Optional for all other Macan models. It comprises side airbags in the front seats, curtain airbags along the entire roof frame and the side windows from the A-pillar to the C-pillar, and side impact protection elements in the doors. 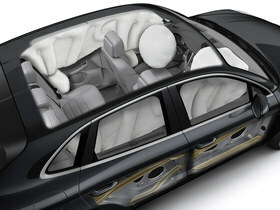 Side airbags for the rear compartment, along with driver and passenger knee bags, are standard. Sensors continuously monitor driving direction, speed, yaw velocity and lateral acceleration. PSM actively intervenes to stabilize the vehicle when necessary by strategically applying the brakes at individual wheels. That's not all. If the driver suddenly releases the accelerator pedal, PSM primes the brake system for a higher state of readiness. Maximum braking power is therefore achieved much sooner. 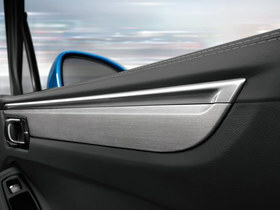 Integral ABS is optimized for short braking distances. The Bi-Xenon™ headlights feature automatic and dynamic range control, which provides uniform illumination of the road whether low or high beam is selected. The dynamic cornering light function swivels the headlights towards the inside of a bend based on the steering angle and road speed. The static cornering lights activate the auxiliary headlights in order to illuminate more of the road at tight bends and turns. Put simply, a greater part of the road ahead is illuminated the moment you enter a bend. In addition, PDLS adjusts the range of the low beams at higher speeds and reduces the effect of the reflection phenomena in poor visibility conditions. 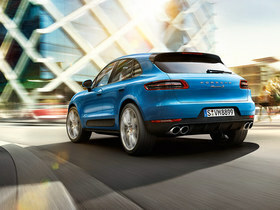 Standard in the Macan Turbo. 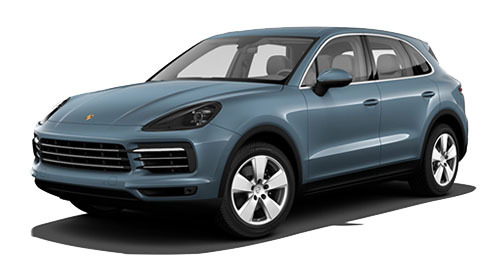 Optional for all other Macan models. Optional PDLS Plus offers two additional functions. The dynamic high beam feature adapts the headlight range to oncoming traffic and to traffic in front. Daytime running lights are standard on all models. 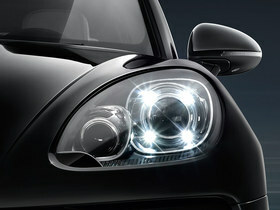 On cars with Bi-Xenon™ headlights, the stunning light source is four LED spotlights in each headlight. The benefit is clear. If other road users can see you better, daytime driving becomes a safer experience. The three-dimensional design of the LED taillights pays homage to the 918 Spyder super sports car and lends an impressive appearance of depth. At the same time, they are especially responsive and powerful – and that means added safety. 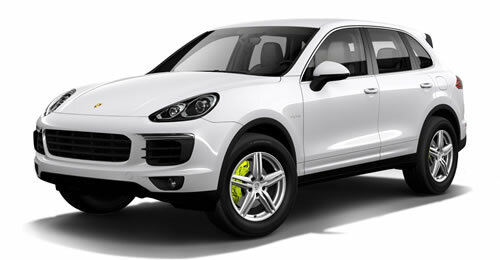 At the front, the Macan models are equipped with six-piston aluminum monobloc fixed brake calipers. The brake discs are internally vented for consistently high braking power, even during continuous use. 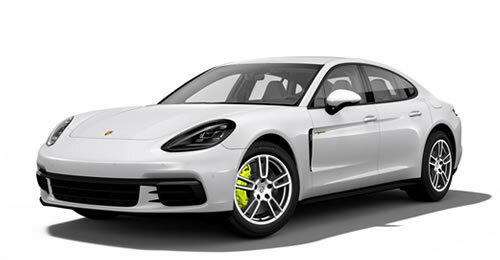 To cope with the performance capability of the Macan models, the brake discs fitted to the front axle are up to 360 mm in diameter. 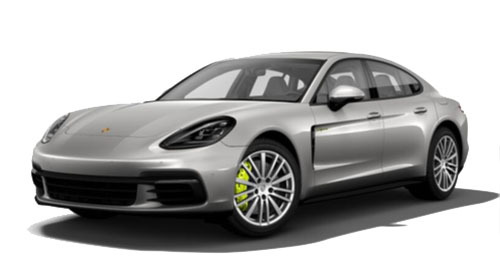 The brake calipers of the Macan S are silver-colored. 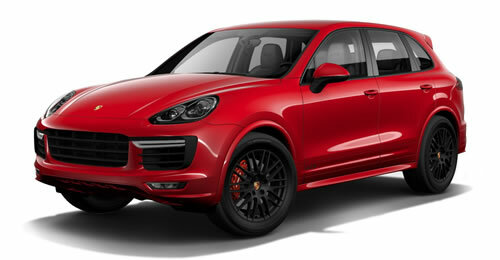 On the Macan Turbo – red. 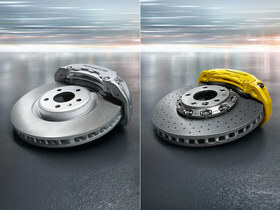 The key advantage is that the brake discs are approximately 50% lighter than standard discs of similar design and size. Enhanced performance and fuel economy are not the only noticeable benefits: above all, it represents a major reduction in unsprung and rotating masses. The results are improved handling, better roadholding and increased ride comfort. 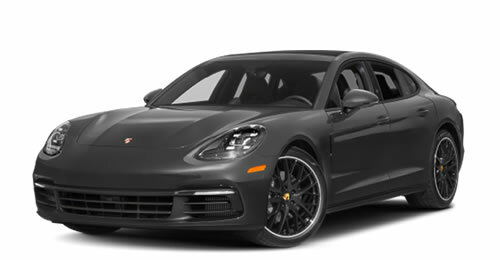 Infotainment for a new generation: new Porsche Communication Management (PCM), with optional navigation, features Sirius XM and HD radio fitted as standard and is the central control unit for audio and communication. Easy to operate using the new 7-inch multi-touchscreen or rotary pushbutton controls. When the screen is approached, the integrated proximity sensor brings up the relevant menus so that they can be selected intuitively by multi-touch gestures. 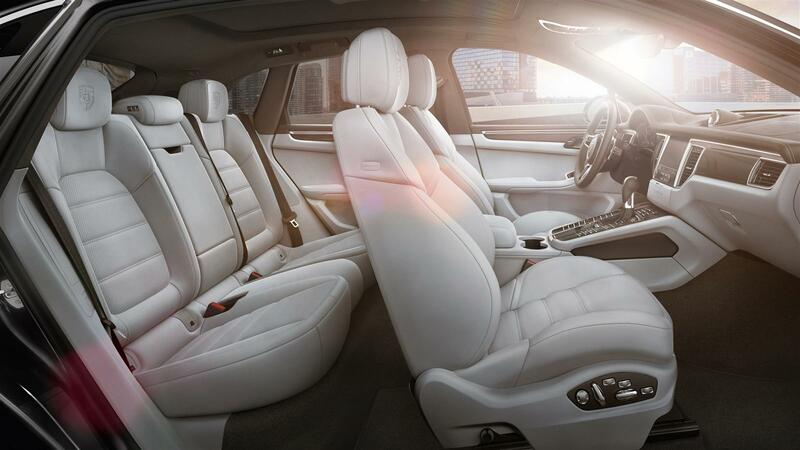 The PCM features a high-quality glass surface that blends perfectly with the interior. Mobile phone preparation allows you to connect your mobile phone to the PCM via Bluetooth® without any complications. 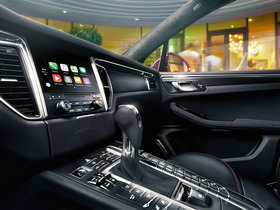 The optional Connect Plus module provides wireless Internet access so that you can connect WLAN compatible devices to the Internet, Apple® CarPlay and online navigation with real-time traffic information on the navigation system’s map view (including GOOGLE® Earth and GOOGLE® Street View) *. 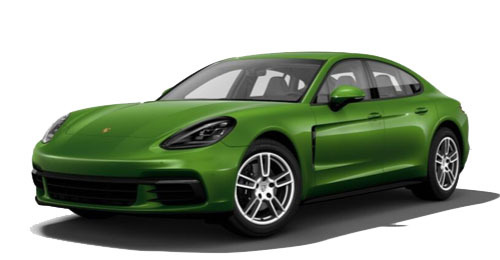 Another feature of the Connect Plus module is the Porsche Connect app. Information from your smartphone’s address book or calendar can then be transferred, easily and quickly, to the vehicle. 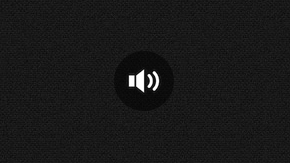 The music streaming function also provides access to millions of music titles. Also included is Apple® CarPlay, with which iPhone® apps, including ‘Siri®’, can be used via PCM even while driving. 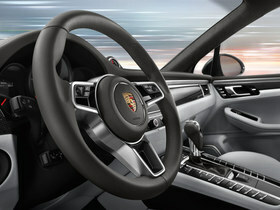 More information on Connect Plus and availability in your country can be obtained from www.porsche.com/connect or from your Porsche Centre. 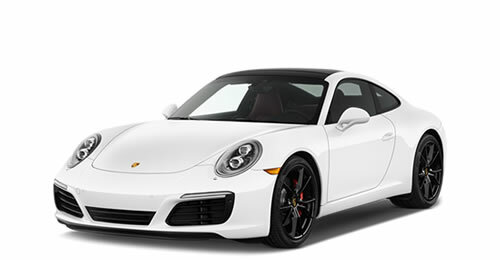 * The real-time traffic information, GOOGLE® Street View and GOOGLE® Earth services include a free inclusive period of at least 12 months and can be extended for a charge at www.porsche.com/connect. Use of these services and wireless Internet access requires a data SIM card. A separate contract with a mobile phone provider, with an associated charge, is required. 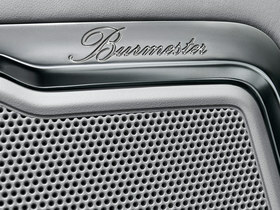 The technologies behind the system are from the finest premium home audio systems that Burmester® has to offer. State of the art and never heard before in a vehicle of this class. The extravagance is uncompromising, the craftsmanship exquisite, the sound phenomenal. 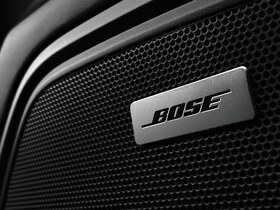 The system owes its excellence to countless details, and one goal: perfection in sound. Crossover technology has been carried over almost unmodified from Burmester® high-end home audio products. Analog and digital filters have been optimally defined for their installation location and finely tuned after extensive in-car audio testing. Ribbon tweeters have been used for unmistakably fine, clear and undistorted high-frequency sound reproduction with excellent level stability. The elegantly pure design with galvanised surrounds and Burmester® logos on selected loudspeakers make it clear that the exclusive ap®eal of the Burmester® High-End Surround Sound System is as much about the visual as it is the audio. Uncompromising luxury in sound and style. 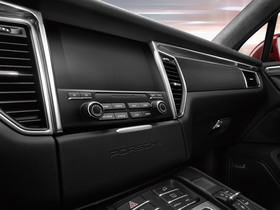 The BOSE® Surround Sound System is compatible with Porsche Communication Management (PCM) as well as the CDR Plus audio system. 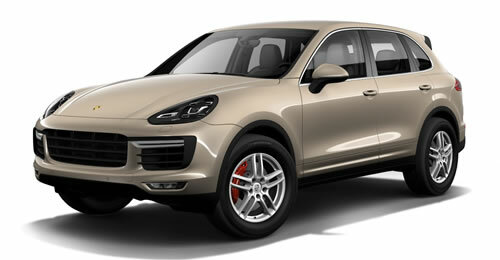 The system has been optimally tuned for the models in the Macan range. A total of 14 loudspeakers, including an active subwoofer and center speaker, and nine amplifier channels with a total output of 545 watts deliver an impressive sound experience. In combination with Porsche Communication Management (PCM), the BOSE® Surround Sound System enables audio playback of DVDs and is thus able to make full use of the impressive sound spectrum of 5.1 digital recordings. Of course, you can still play other audio sources, such as CDs or MP3 players, in stereo or, at the push of a button, in one of the available virtual surround modes. 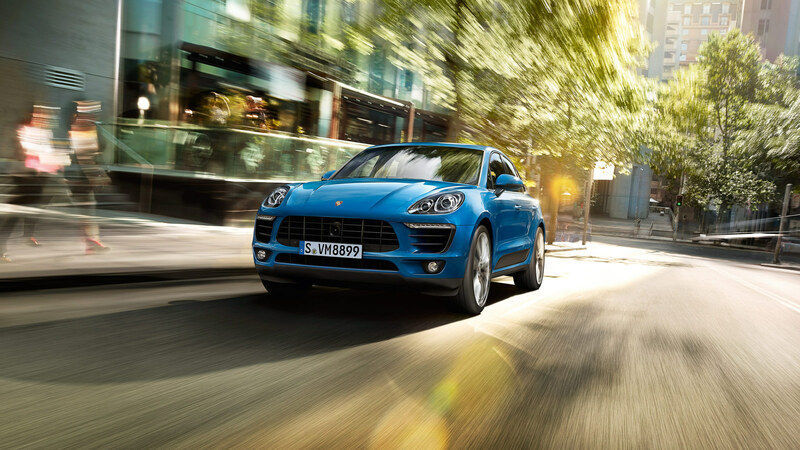 The Macan is quite simply the most versatile vehicle we have ever built. This includes the capability of being used as a tow vehicle. An optional Towing Package includes a trailer receiver without tow ball that accommodates a maximum braked trailer weight of 4,409 pounds. 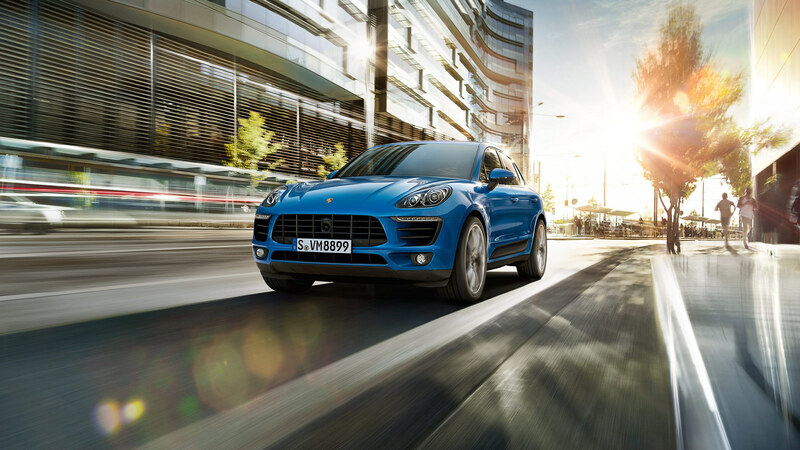 With its exceptional towing capacity, the Macan takes you down the road as perhaps no Porsche has ever before. 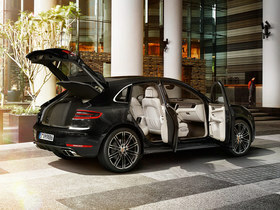 The large luggage compartment of the new Macan models is prepared for a wide variety of uses and boasts a capacity of 17.7 cu. ft.. A storage compartment to the side offers additional space. The rear bench seat folds down with a ratio of 40 : 20 : 40. 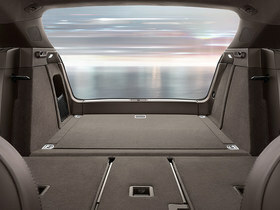 With the seats fully folded, the available capacity increases to 53.0 cu. ft. 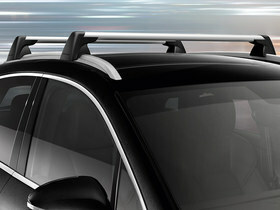 These high-quality roof rails are available in aluminum or with a black painted finish. They blend harmoniously into the vehicle's dynamic design. Roof rails are a prerequisite for installation of the optional roof transport system and are available as a factory-fitted option only. In conjunction with the optional roof rails, this set of lockable roof bars is compatible with all Porsche roof attachment modules. The load-bearing parts in aluminum are designed to carry a maximum load of 220 lbs. 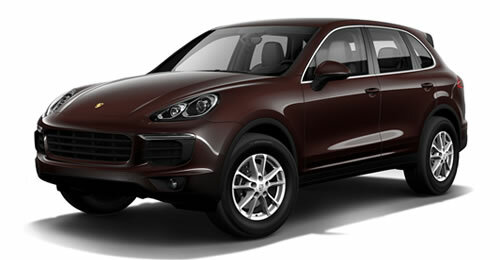 A range of aftermarket attachment modules is available from Porsche Tequipment. Long-life and hard-wearing materials reduce maintenance items to a minimum. At the time of an oil filter change, for example, only the recycling-friendly paper insert needs to be exchanged and not the entire housing. Moving parts are adjusted automatically, e.g. by hydraulic valve clearance compensation. The use of individual ignition coils in petrol engines makes the entire ignition system, except for the spark plugs, wear and maintenance-free. Advantage for you? If it doesn't need replacing, it doesn't need to be disposed of. Not only does this support the responsible handling of resources and a caring attitude towards the environment, it saves you time and money. 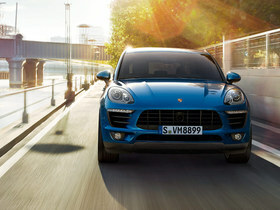 The maintenance intervals of the Macan models nevertheless depend on various factors, including the local fuel grade. For exact information, please refer to the price list published in your country or consult your Porsche Center. A Porsche is a source of long-lasting pleasure for our customers and a refreshing change for their environment. 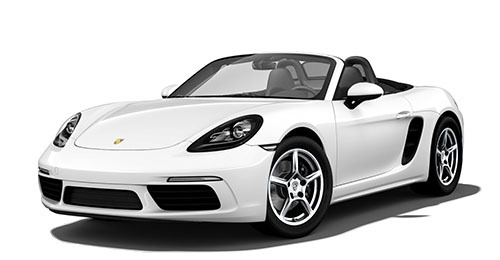 This Porsche principle can be summed up in one word: sustainability. 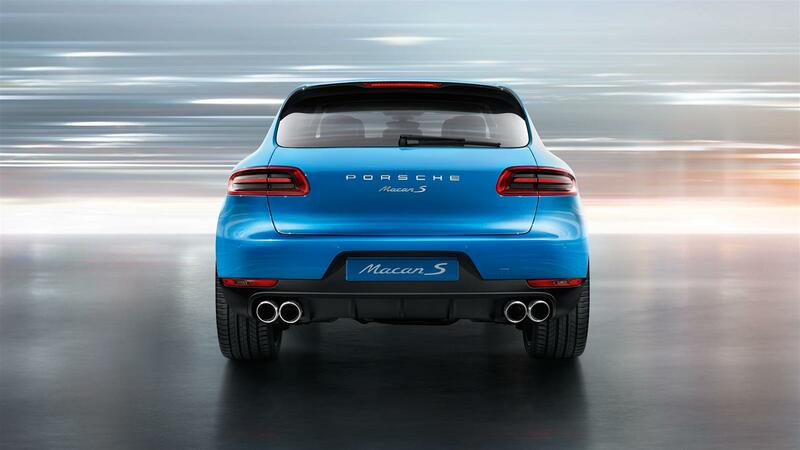 Here's just one example: the exhaust system of the Macan models is made from extremely corrosion-resistant stainless steel – and purposefully manufactured on the principles of lightweight construction. In addition, our cars are free from CFCs and parts manufactured with the use of CFCs. In all, they are over 95 % recoverable. Naturally, all statutory recycling requirements are fulfilled. The labeling of materials facilitates future sorting for excellent recycling. On the subject of recycling, there is plenty of time before it is even needed. 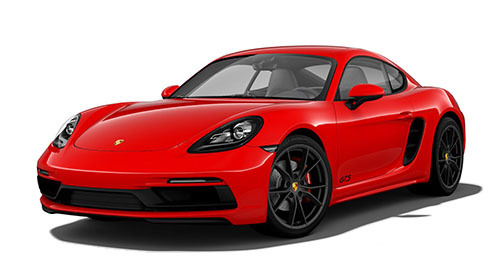 Two-thirds of all Porsche cars ever built are still being driven today. What better way to conserve resources? The characteristic Porsche sound may drive our passion, but acoustics is yet another area in which we continuously strive for optimization. Stiff components and lightweight, temperature-stable materials minimize play between parts and therefore mechanical noise. Voluminous silencers and air induction systems reduce noise levels further – and that's over the course of the entire service life. In collaboration with tire manufacturers, we are managing to reduce the rolling noise of tires, while aerodynamic refinements keep wind noise as low as possible. What's left? 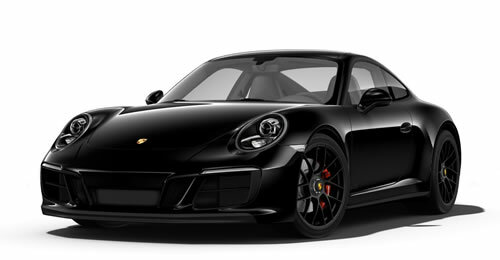 The Porsche sound, pure and simple. 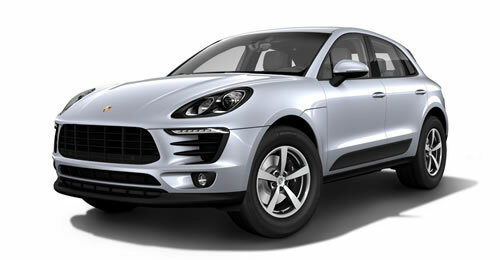 Doing more with comparatively less – another philosophy that the new Macan models live and breathe. The gasoline models are designed to operate on fuels with an ethanol content of up to 10%. Ethanol has a positive impact on the CO2 balance because this biofuel is manufactured from plants, which absorb CO2 from the atmosphere in order to grow. In the gasoline models, even the emissions of the fuel system itself are minimized for the protection of the environment. Evaporative emissions are significantly reduced by the returnless supply system. Vapor-carrying lines are made from multi-layered plastic, while a high-capacity active carbon filter and the fuel tank also feature a multi-layered construction in order to make everything as impermeable as possible. 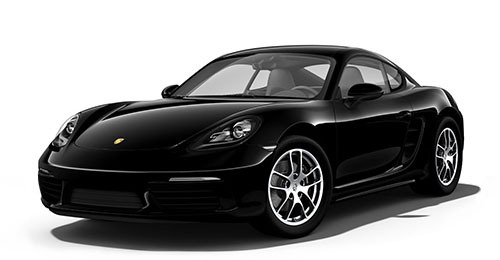 The basic premise of any Porsche is power. It's been that way ever since 1948. But there has always been another principle: efficiency. Again, since 1948. We remain committed to both, and we always will. In addition to our pursuit of efficient engine technologies, such as the turbochargers used across the model range, we routinely rely on innovative, lightweight materials, we are constantly developing our production techniques and functionalities and, as we do so, we are continuously refining our concepts. How does this benefit you as the driver? Greater agility with increased dynamic performance – and lower fuel consumption. Now that's efficiency. 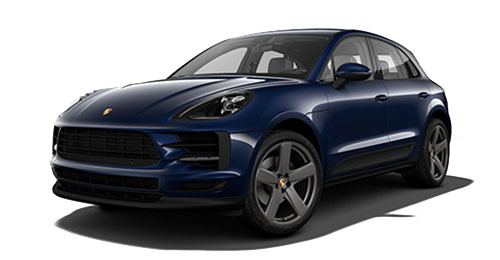 The Macan once again demonstrates that even high-performance sports cars can achieve comparatively moderate emission values. 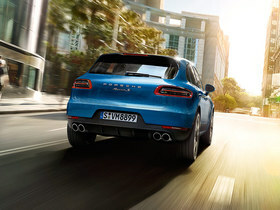 The state-of-the-art engines of the Macan model range reach their optimum operating temperature soon after start-up, thanks to the rapid heating of the catalytic converter system. Emissions are thereby reduced, while tires optimized for low rolling resistance play their part by lowering fuel consumption. The gasoline models are equipped with stereo Lambda control circuits. These are used by the electronic engine management to determine the optimum amount of fuel for effective emission control. Specs reflect base model unless otherwise noted.